Yes indeedy-deed, this week’s YouTuber of the Week is actually a duo. 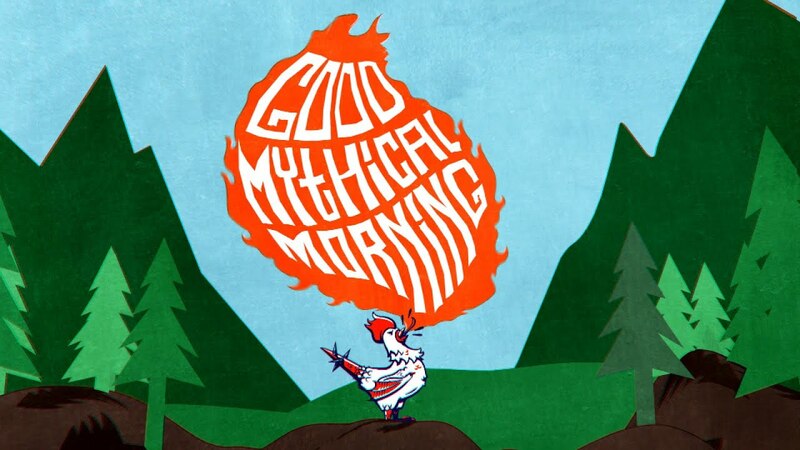 Rhett & Link of Good Mythical Morning! Yes, and this is on account of: I’ve developed a serious addiction to their Good Mythical Morning videos. I watch them every morning. And during lunch. And at night. Pretty much my whole day revolves around the spare time I get to watch Rhett & Link talk about stuff. I can’t help it; I’m hooked. They are the funniest duo I’ve seen so far on YouTube. Granted, I haven’t seen many, but for now they are on the top of my list. 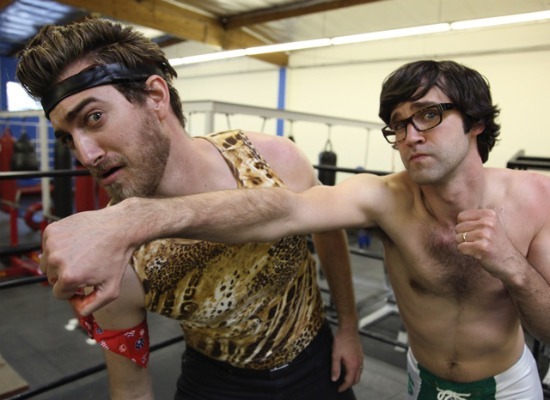 Rhett & Link do a range of different things to entertain their audiences. They call themselves “Internetainers”, which probably means that they entertain people on the internet. Or something. Which makes sense since they don’t just have one talent. They make amazingly funny music videos, in fact one of their videos was actually mentioned in my previous blog post on the topic of Nerds Vs Geeks (Go check that out. Later). They also do sketches and outrageous commercials on their main channel Rhett & Link, but what I am inordinately compelled to watch every second of every hour of everyday is their daily show Good Mythical Morning. This talk show discusses topics ranging from 5 Strange Facts About Bellybuttons to The Ghost Pepper Challenge to 14 Words The English Language Needs. Needless to say, the variety of topics they cover is immense. Which is why I never get bored of their videos and have evolved into a Mythical Beast. Oh yes, they call their fans Mythical Beasts. I mean, that right there is all the enticement you need to check them out. I like the fact that their talk show isn’t rigid. And what I mean by that is; it is a free, relaxed atmosphere. Rhett & Link go way back and this can be seen on camera. In fact, this is what makes their videos the golden, glistening magical myriad of awesomeness that they are. Their friendship shines through in every one of their videos, especially when Rhett isn’t afraid to jab at Link’s mispronunciations of words or when Link makes fun of Rhett constantly insisting that he’s the smartest person in the world. It is these little reprises that create a comedic dynamic to the duo. So there you have it, that’s my recommendation for the week, I hope you soon evolve into a magical Mythical Best. It’s way better than being a unicorn. Seriously. Feel free to leave comments below! How do you feel about GMM? Are you as obsessed as I am? Probably not.